I'm really satisfied with my one s with soon 4.1.1 rom--it does everything I want, battery life good, etc. But No LTE. With its inferior processor and LTE, though, I can't consider this phone a real upgrade. I like the size and design, but will wait for a better small phone that isn't plastic. Dissappointed that there is not a single mention of Xperia ZR. In my opinion, ZR is an even better deal if you want a smaller phone with decent specs. And it blows both One mini and S4 mini out of the water in terms of specs, and still manages to be priced just slightly higher. the Video camera: Full HD (1080p) video recording at 30fps with HDR. It's 720p not 1080p. The screen on this phone got my attention. Why compromise with NFC? This is 2013. Yep I'm also wondering about the ZR, that looks like a proper mid spec. Only thing is a bit smaller would have been good it's currently almost a direct nexus 4 competitor. karthik, 18 Jul 2013Why is this htc one mini so much focused on, while there a more perfect model out there. i.e. ... moreIndeed, not a word about the ZR which seems great. Looks like Samsung and HTC did a smart thing when they used the flagships name and added "Mini". 1Gb ram and limited storage? My interest.....LOST!!!!! I bit the bullet and ordered S4 Mini a week ago. I must admit I was a bit hesitant about ordering it before the full specs of this phone are published. I'm happy to say I'm very relieved: One Mini is not the phone for me. First of all, I value pocketability a lot and find the S4 Mini size optimal. One Mini would have been slightly too big. Another aspect of One Mini I was interested in was the low light performance (which is not Samsung's strong suit). However, the lack of OIS (which is very valuable in low light situations) in One Mini is another disappointment. I must say I'm surprised that GSM Arena is bashing S4 Mini so much. They made it clear in its review that A) the size is great B) the camera is above average and C) the battery life is (especially with future FW updates) pretty much one of the best they've seen. It's funny how they are being critical about S4 Mini's polycarbonate body but then say in this preview that because One Mini uses polycarbonate in its body, it will be more durable. Especially when many of us (including me) are using a case anyway, I really don't understand why they almost base the entire recommendation to the looks/feel of these phones. I'll take an ugly phone (which I don't think S4 Mini is) any day and just put a case on it if I know that it is more durable (and has a better GPS signal etc.). THIS is how you do a mini. Samsung take note. GSMarena, do a showdown between this and s4 mini. "We do miss the Optical Image Stabilization though, it really made the One camera stand out ahead of other Androids." Your review about htc one say the whole things around . And adreno 305 even worst than last year adreno 225 . Better have xperia V if you wan a compact phone . 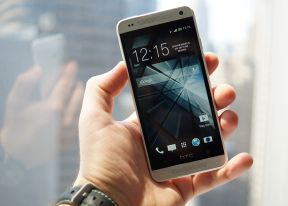 Why is this htc one mini so much focused on, while there a more perfect model out there. i.e. Sony xperia ZR. Has expandable slots, 13 MP cam, 2 GB & quad core.